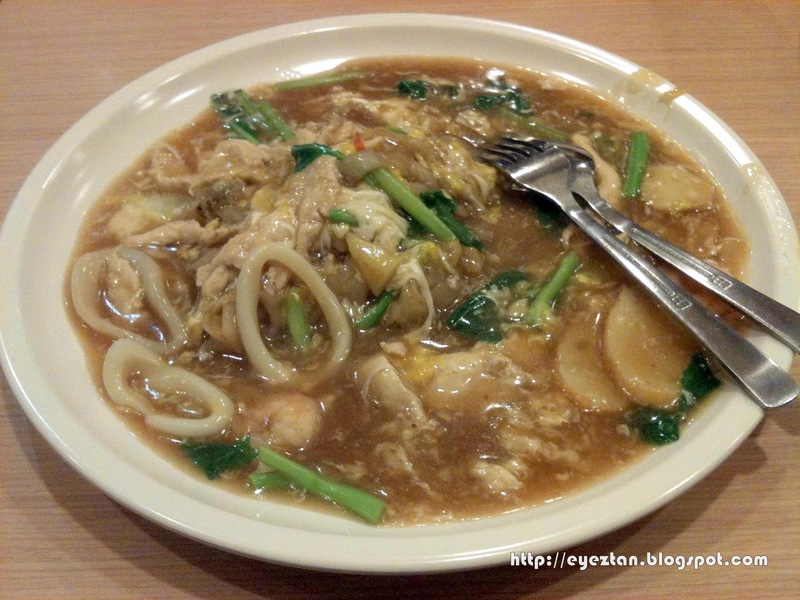 Jom Bali Cafe is located inside Carrefour Wangsa Maju, serving Malaysian delicacies. 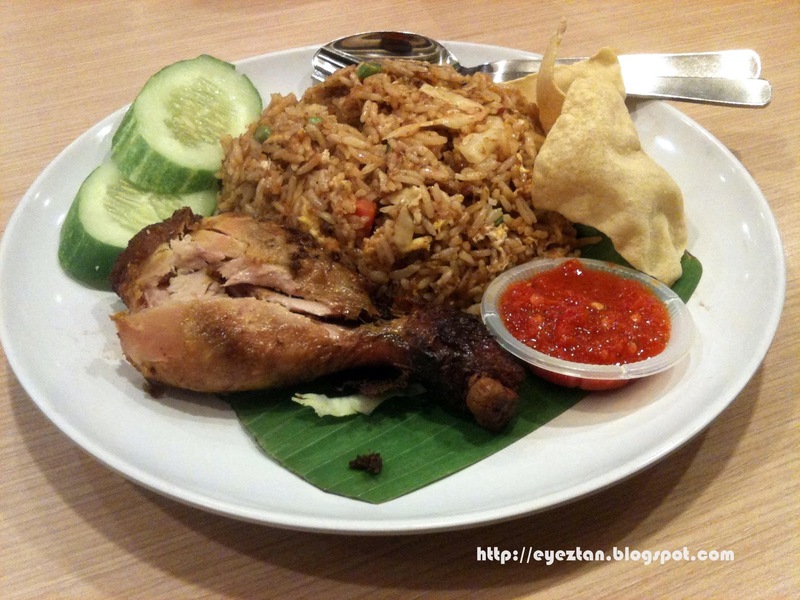 They serve an array of Malaysian food, from Malay, Chinese, Indian food to Eurasian and Nonya food. Well, I happen to be at Carrefour this evening shopping for some groceries with my better half. It was already nearing 8pm, and my stomach was starting to make weird sounds. 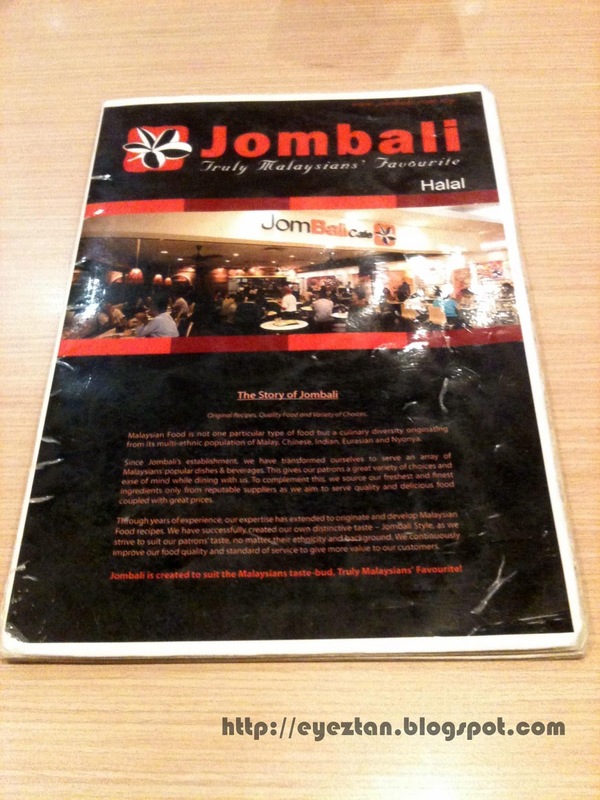 We decided then to crash at Jom Bali cafe since the establishment looks pretty clean and nice. 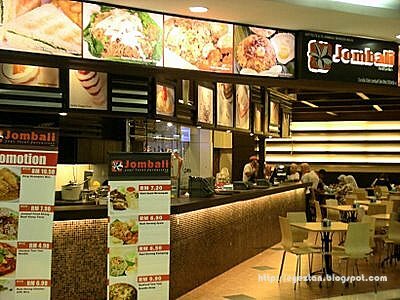 Jom Bali Cafe Lot 8/27, Carrefour Wangsa Maju, 53300 Kuala Lumpur. The menu was quite extensive in its food range, I decided on the Nasi Goreng Sambal with ayam goreng (fried chicken), while my better half ordered the Wa Tan Hor. We normally only share one drink, and today we chose the Iced Mocha drink. How was the food? The Sambal fried rice was really tasty, I suppose any fried rice when you stir fry it together with sambal it'll turn out great. The rice was delicious, with small pieces of chicken meat, vegetables and egg. Coupled with the crispy fried chicken, it completed my dinner. My girlfriend's Wa Tan Hor wasn't too bad either. It had generous servings of eggs and squids. The soup was tasty as well. I do hope that it wasn't tasty because of the Ajinomoto, but rather due to the ingredients used to make it. I read up online that Jom Bali Cafe uses the freshest and finest ingredients so I guess I'm fine with it. 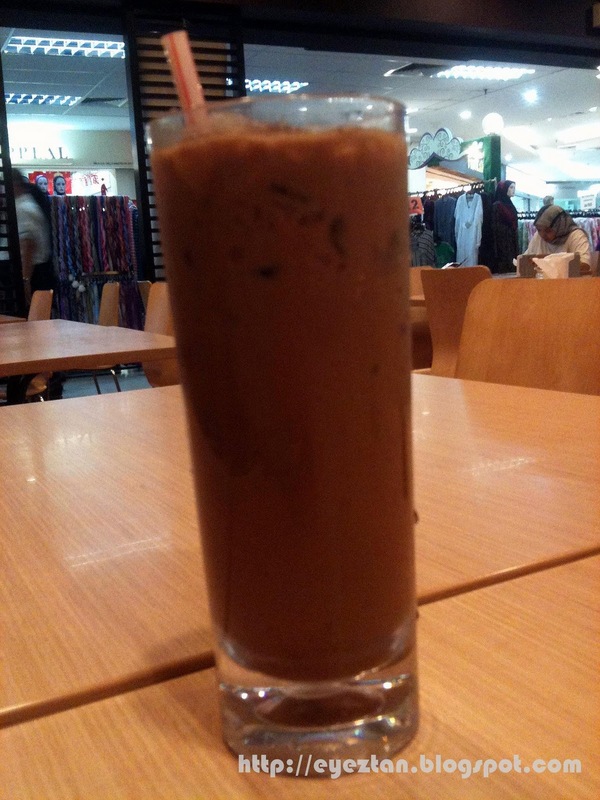 We washed down our meal with a glass of iced mocha. It was pretty decent. Nothing much to shout about, just your everyday average mocha drink. Weird thing is, it tasted strangely like Nescafe to me. The damage was RM 22.30, pretty ok for a meal for two, not really cheap though but I guess the cafe settings make up for it. We then proceeded to continue our groceries shopping with happy full tummies.